Using Carpet Cleaning Dallas services will save you money in the long term. Even if times are tough, we can't replace professional work, such as, steam area rug cleaning, furniture upholstery treatment or expert carpet cleaning. 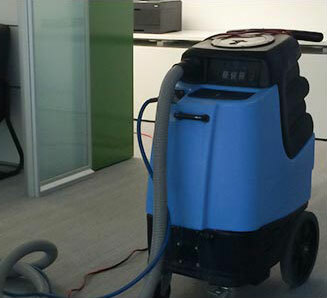 When it comes to professional carpet cleaning, nothing is better than dedicated carpet cleaners. Do it Yourself, even if you read all of the books and articles that there are is not the same as the professionals of Dallas carpet cleaning with their heavy and serious cleaning machinery that can clean via hot water extraction or steam cleaning using an outside truck that pumps the steam at high pressure through the carpets and upholstery to perform a really deep and effective clean. There is a reason that professionals are called professionals, and that is because they know what they are doing. At Dallas Carpet Cleaning, we are not only know what we are doing but do it at a very reasonable price, with flourish and a smiling service. Without us realizing there are thousands of bacteria that float around in our carpets and couches. A quick wipe with a damp cloth does not clean the upholstery enough. Using a deep steam cleaning and hot water extraction method used by the professionals at Dallas Carpet Cleaning not only cleanses your carpet upholstery but also ensures that the bacteria are taken away. Carpet upholstery cleaning for some reason is overlooked when it comes to domestic cleaning where, people have the mistaken belief that a treated sofa or carpet does not need a good clean, well the opposite should be the case. For carpet cleaning services in Dallas call us at 214-550-0138. Our rug cleaning department at Dallas Carpet Cleaning specializes in on site and off site cleaning. Depending on the needs of the customer whether it is for mold removal or smoke stains, pet odors or simply a good dry cleaning, we can take care of it all. A rug is not a cheap item and we appreciate how valuable they are and we give them the respect they deserve. By using the best rug cleaning methods that of course involve checking a corner of the rug first for color fastness and reaction to our detergents, your carpet can look like new in a matter of hours. Using our service in Dallas for carpet cleaning, carpet upholstery cleaning and even rug cleaning is money well spent, consider it an investment in the future of your home and family. "Carpet Cleaning Dallas saved me a lot of sorrow and aggravation when I found myself dealing with water damage in my home..."
"My house had been on the market for a few months and though lots of people seemed interested, not that many people were making offers..."
"I spent a lot of time researching carpet cleaning services before I decided on Carpet Cleaning Dallas. I was looking..."
"I first used them when I moved into my house. Once the previous owners vacated, the amount of dirt..."
"Everyone from Carpet Cleaning Dallas conducted themselves in a highly professional manner, showing up on time and following..."